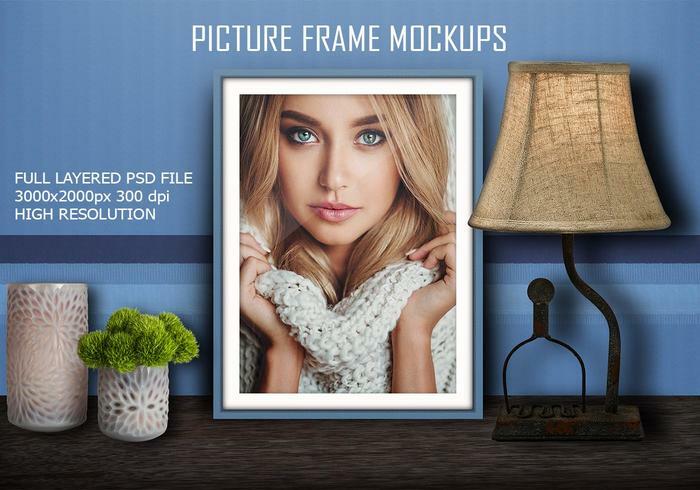 Picture Frame Mockup PSD - Free Photoshop Brushes at Brusheezy! Picture Frame Mockup PSD Full Layered PSD file in High Resolution 3000x2000px 2 Different Type of Frames 3 Different Backgrounds Feel Free to Customise the Design from Layers. Very Easy to edit in Photoshop.